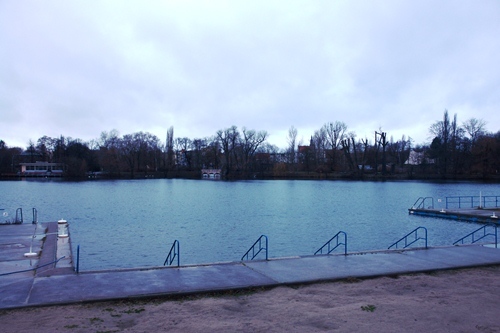 We take a Sunday walk around the Weißer See, at the heart of its near-namesake neighbourhood of Weißensee, to the north east of Berlin and a short tram ride from the popular and supposedly hip neighbourhoods of Prenzlauer Berg and Mitte. 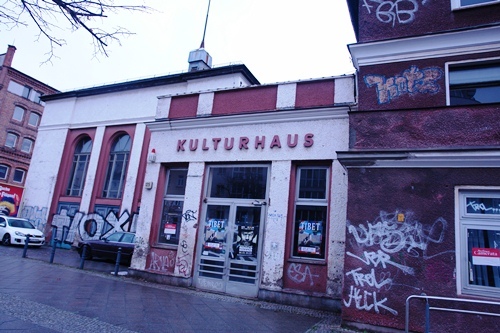 The cultural centre on the edge of the park that leads down to the lake looks as if it has seen better days, like the area as a whole, but there is no denying the small but important role this corner of Berlin has played in the city’s cultural history. During the early years of cinema, the Weißensee Film Studios produced a number of legendary films, most famously The Cabinet of Dr. Caligari. The Antonplatz – the central square of Weißensee – once boasted no fewer than eight cinemas, such was the influence of the art form on the neighbourhood. Into the 21st Century, only one remains. At the end of the Second World War, Weißensee became the home of what would be East Germany’s most important art school, which is still open and attracting talented young artists from around the world. One personal favourite is that fact that in the late 1980s, during the (at that point unknown) dying days of the GDR regime, Bruce Springsteen pitched up in Weißensee for a concert that became one of those events where the number of people who claimed to have been there could fill the venue ten times over. Past glories they may be, but as the next generation continue to study and create in the studios of the Kunsthochschule, and struggling artists look for the next Berlin neighbourhood for cheap rents and exhibition spaces, perhaps Weißensee will have its time again. 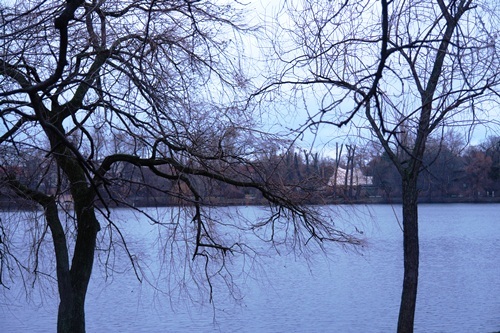 And if not, it still has a lot going for it, not least its picturesque little lake. We walk the mile around the water’s edge alongside elderly couples, kids on bikes, joggers and dog-walkers, dodging muddy puddles (most of us) and watching the ducks and swans that own the water at this time of year. 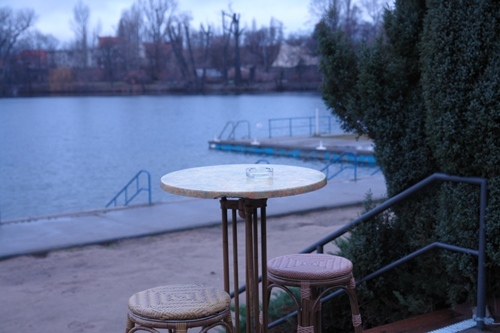 In the summer they will have to make space for the bathers from the Strandbad, but today on this gloomy January morning, no-one is bathing, choosing instead to remain on shore with a cup of coffee or glühwein served by the out-of-season lifeguard sitting at the kiosk by the turnstile. This entry was posted in Diary, Off Season on January 8, 2012 by Paul Scraton.